Ok, so lets talk about what you need to get started woodworking. Obviously, you need some sort of tools for woodworking, but it isn’t the quality of tool that truly dictates the end result. Preparation and skill are the two components that greatly overshadow any other component. So what exactly do I mean by preparation and skill? On the preparation part, I’m talking about sharpening and setting up hand planes, hand saws, and chisels …Looking back at my initial woodworking, and comparing it to present, this really seems to be the main difference. Learning to sharpen isn’t difficult, but it is something that can be difficult to assess. When you first start, it’s easy to read the “hows” of sharpening, and even to go through the steps as described, but for many, it’s hard to know your end results match the target results. I suggest either finding someone who is willing to spend a little time teaching in person, or attend one of our Lie-Nielsen Hand Tool Events, where all of our staff are glad to walk you through the sharpening process. Heck, we do these demonstrations over and over each day of our events. The setup of your tool is also very important, as you can have a sharp iron in a plane, and still struggle with your results if you don’t get comfortable with the tool setup. This is something that may seem obvious to those who excel with all things mechanical, yet the reality is there are still huge numbers of woodworkers who are anything but comfortable with this aspect. The answer to this issue is almost identical to the sharpening portion; in that someone that already knows how to accomplish setting up his or her tools can share that information in a short afternoon get together. If you don’t know anyone that fits this requirement, our Lie-Nielsen Hand Tool Events can again assist. This is another regular topic at our events and we are glad to take the tools apart so you better understand what makes them tick, and hopefully fill in the blanks so you will be successful. Chisels – bevel edged – these are available at multiple sites new or you can find some older tools that may require some additional time to setup, but probably won’t hit your pocket as deeply. I’d want at least a couple of chisels (1/8”, 1/4”, 1/2”, 1” or something along these lines. One or two narrow chisels and one or two wider chisels allow you to handle many tasks. Hand Planes – This is another area you can either buy new or if you make sure you get a good older tool, they can last for generations. Older tools again have less initial cost, but can require extra setup to work well. It isn’t a bad thing to put some sweat into your tools. I did this when I first started, and it allowed me to have more tools and flexibility without killing my budget. In my spare evenings, I’d spend time working on the soles of my planes, rather than out finding other ways of spending the cash I didn’t have. Also remember the irons are replaceable, so a tool without a long iron is something you can fix without too much outlay. I’d want an adjustable mouth low angle block plane, a bevel up low angle jack plane and either a #4 bench plane or a #8 jointer plane. These last two depend on the size of the woodworking projects you plan to make. A #8 is great if you need to flatten a bench, for example. Hand Saw(s) – decent second-hand saws are all over the place, and usually cheap. It would be good to do some research to find the companies that made good old stuff and look for that, if you don’t want to spend the cash for the new good stuff. And for new good stuff, I’m not talking about going to the local hardware store, either. Besides learning to use a hand saw, you also should learn to sharpen them, too. This is something that almost anyone can do, but it does take some practice and research. Oh yeah, if you’re looking to pick up an older saw, make sure the handle has curves that feel good in your hand. When you pick up a saw that doesn’t work, you can usually detect the blocky-bulky feeling handle that gives you blisters in about five minutes. I’d want a large full-sized rip saw (4 – 7 teeth per inch (tpi)), a large cross cut saw (11-15 tpi), a dovetail saw (15+ tpi) and a crosscut backsaw (15+ tpi). I built my first bench out of 2×4 type lumber and used three layers of plywood for the top. It wasn’t glamorous, but it was sturdy. Not too long after that bench, I built another with 4×4 redwood legs, and ended up with a double-layer of beech pre-prepared tops, glued and screwed together to make a solid top surface. It was shocking how much wood needed to go from the top to make it flat. That jointer plane and I became good friends. The bench also has a quick-release face vise, but that isn’t a necessity. I also added on different stops I could push my boards against when planing. I’m planning to build a full-sized bench soon, but that plan has been following me around for almost 25 years. As you can see, it’s not a necessity, but it is nice to have, when or if you can afford it. A heavy bench that doesn’t walk around the shop when you plane is necessary. Luckily, you can always add weight to a light bench, or bolt it to the floor, so you can again avoid the big price tags if it’s not feasible. Sharpening – so there are a number of choices out there for sharpening. I personally like waterstones (1000 & 8000) but there are other options if your budget is tight. A sheet of plate glass as your flat base, along with sheets of sandpaper can get you sharp. This ends up getting costly if you do it for a long time, but as a stop gap it works. When you get some stones, make sure you keep them flat. You can cause all sorts of troubles for yourself if you don’t know or pay attention to this. Always make sure you and anyone else in the room are safe when doing woodworking. It’s a great hobby/profession and can be very rewarding, but knowing your tools/machines and being safe with everything is extremely important. If you ever get that feeling that you’re about to do something crazy/stupid, step away from the tool/machine and find someone that can teach it to you, or is willing to safely do it for you. Please don’t let this enjoyable pastime ruin your day, or worse. 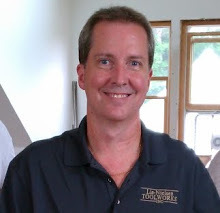 Thanks for reading my article and I hope you’ll give woodworking a try. Let me know if you have any questions of comments. Yesterday from Highland Woodworking's Twitter via Hootsuite Inc.